As none of us know what’s next or what might have been, we discuss fate academically. We want to make sense of events and, after the fact, align moments that contribute to our successes or calamities. We can’t say for sure we’re right, but we’d like to be. Some of us place faith in a guiding intelligence, certain of God even in the absence of reason. Though, intellectually, I see my inner order-maker at work, I’m not immune to explanation. Last weekend I landed in the hospital for a night, kept for observation when my blood pressure dropped suddenly. The doctors looked for causes, and I joined them, trying to figure out where I’d gone wrong, how I could have avoided that hospital bed. A collection of very scientific precedents probably did lead to my fate—the doctors told me so—but something led to those precedents and precedents led to those precedents… and so on. Frost might ask, “Who knows, really?” One decision can’t matter much, and it’s hard to live thinking each act is consequential. Time moves quickly. My doctors, rightly, would tell me no moment deserves blame. They might encourage me instead to focus on the cumulative effect of my decisions, the patterns and habits they communicate. Confucius is right, we are what we do daily… yet every decision creates those patterns and habits too. Each road must be taken in turn. Other animals have a huge advantage over us here—instinct keeps their wheels on the rails—and, if we are more adaptable and less lost off the rails, we sometimes do ourselves terrible damage with assumptions about what’s acceptable, desirable, and beneficial. Nature isn’t perfect—predators overhunt, plants exhaust the soil—but they don’t choose. Nature isn’t deliberately delusional, as we sometimes seem to be. In history there are no control groups. There is no one to tell us what might have been. We weep over the might have been, but there is no might have been. There never was. It is supposed to be true that those who do not know history are condemned to repeat it. I don’t believe knowing can save us. What is constant in history is greed and foolishness and a love of blood and this is a thing that even God—who knows all that can be known—seems powerless to change. Alfonsa sees there’s no sorting out causes and effects. History records and explains instead of teaches. And her cynicism about humanity’s habits extends forward and backward—we have and will make mistakes—and knowing or God won’t save us. Yet, after her dour assessment, she still tries to protect her grand niece from Grady’s attentions. Knowing limitations doesn’t save Alfonsa from responsibility, and she acts, hoping to give her grand niece the future she could not have herself. She tries. We try, knowing decisions—even the simplest—can create outsized effects. The time may come for second-guessing. We imagine the parent of a missing child and those subject to silly miscalculations bringing death and destruction. In their place, we’d do what every human does, ask why endlessly and inexorably, even if investigation will yield nothing but futile, fruitless, torturous effort. Moment by moment, decisions shape fates bigger than understanding, yet we act. Instinct won’t protect us. Free will is the mark of our species, its defining characteristic, its bane and boon. Yet free will and fate won’t matter in the end. We are here. Afraid every act matters, sure everything does and with little reason to hope, we hope. We hope our acts will add up properly. We hope what seems right, is. We must. In school, authors’ prose sometimes affected me so much that, when I sat down to write about their work, my sentences slid into their syntax and diction. I sounded like them as I wrote about them. One semester, I studied Hemingway and Faulkner together, and I can only imagine my schizophrenic compositions—genteel and muscular, ornate and brutal, loquacious and guarded, perfumed and earthy. With no style of my own, I didn’t steer by their stars so much as zigzagged between, entering and exiting gravities, trailing cosmic dust from each meeting. My voice is my own now because, soon enough, every writer’s prose collides with so many authors and teachers that it doesn’t show any one crash too garishly. A practiced writer, we’re told, finds a path between styles and utters a distinctive style, one that’s fluent, idiosyncratic, and accurate as it presents writer and subject. Arriving at style seems something to celebrate, but I’d like to go back. I hate polish. I wonder if losing my original energy has ruined me. 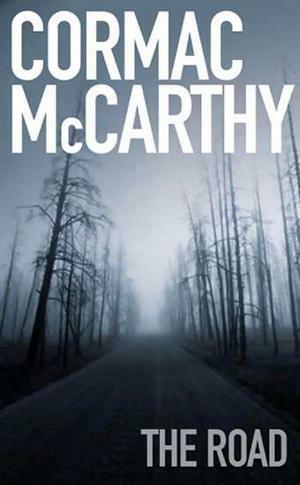 Over the last couple of weeks, one of my classes has been studying Cormac McCarthy’s The Road. Much of the book is direct and plain—the boy and the father gather a lot of wood and take off and put on their clothes many many times. But then McCarthy lapses into lyrical Old Testament riddling equivalent to cured tobacco, twisted in skeins and crying deep, redolent resin. The prose is new, so new it seems language needed inventing to express just what it says. We mortals don’t write that way. Most of the time I appeal to conventions and apply rules I’ve accumulated. You won’t find many “There is/are” in my writing, and I twist into a pretzel to avoid the passive voice. I don’t make decisions or offer explanations, I decide and explain. No paragraph ever begins with the same word as the last. I budget I’s. I don’t like the word “that.” Sentence variety matters and often turns me back to diagnose the last paragraph for its rhythm and surprise. I will break rules just to break them. Clearly, something convinces me these fetishes contribute to clear, emphatic prose—and maybe they help—but they prohibit rather than inspire. They keep me on course and out of woods writers like McCarthy love. “Genius,” Emerson said, “is its own end and draws its means and the style of its architecture from within.” When the architecture of my prose matches my dim and hidden mental architecture, I’m happy. When my end is irretrievably embedded in its means, I’m overjoyed. In my best moments, thoughts and emotions appear untranslated and fresh. Yet I can draw inspiration from McCarthy. If the artist’s job is self-expression, then anything received is suspect. The truth you obey knows no rules. Even imitating yourself is out. Another artist’s approach could be right. Yesterday’s approach might be right too. But you can’t be yourself without continually asking who you are, what you see and understand right now, and how you might let your original voice out.